Discover high fashion vibrant and faithful colors that never let you down! 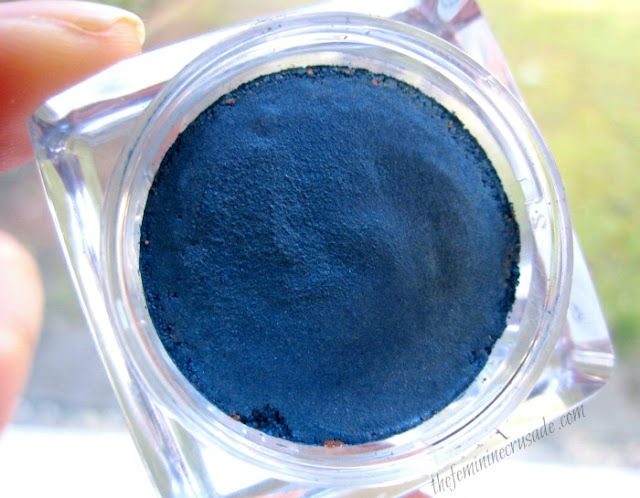 A sensational bouncy texture infused with high concentrations of pigments to make eyes pop. Easy to apply textures offers an high color intensity for 24H that will resists water, humidity and heat. Ultra-intense colors that won’t let you down! This product is available in all outlets carrying Astor Cosmetics. In Germany, find them at DM, Rossmann and Galeria Kaufhof. 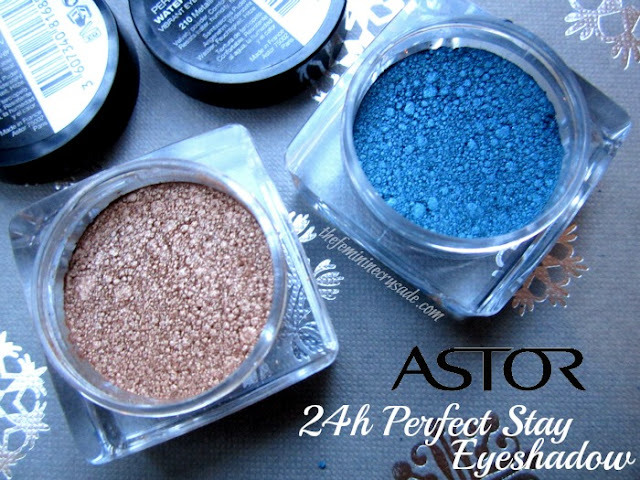 Astor 24h Perfect Stay Vibrant Eyeshadow is available in 5 shades. They are a part of Heidi Rocks Collection. 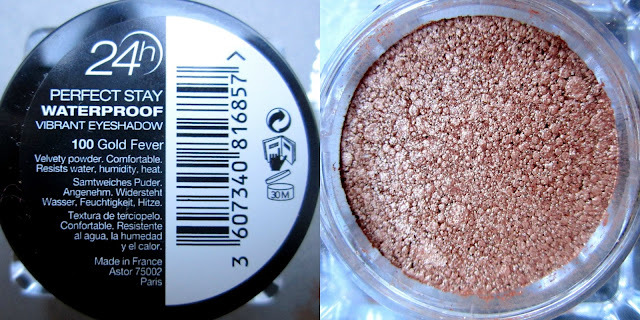 Each eyeshadow comes in a small pot and is protected inside with an additional plastic lid. First of all, I am totally impressed with their packaging, better than even the Maybelline Color Tattoos (which I find them somewhat similar to). Very well thought out, travel-friendly, secure and pretty! 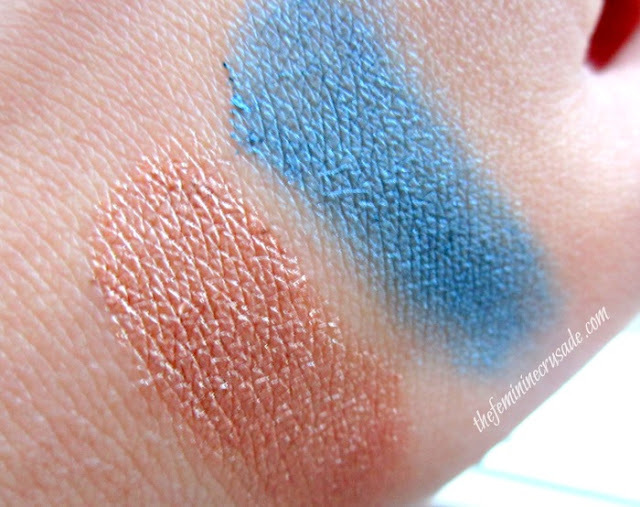 I haven’t tried the Color Tattoos but have swatched them, which on swatch were very creamy. These are a tad bit less. On first glance, as in picture the texture looks like a pressed pigment, but once you swirl your finger it becomes soft, creamy and smooth. I would call them a mix between a pressed and cream eyeshadow. They are creamy enough to be applied very smoothly and give a silky soft, creaseless finish. They are not vibrant over-the-edge but nicely pigmented. I can’t tell you how much I have fallen in love Gold Fever, which is a warm golden bronze satiny shade. 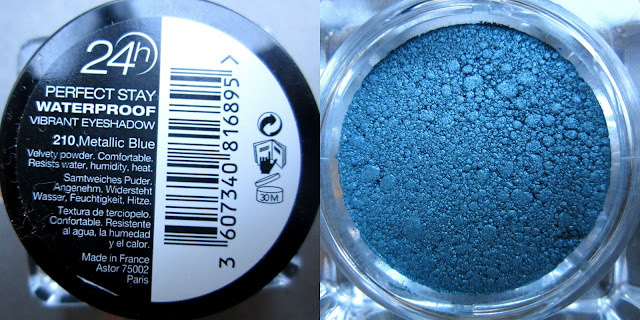 And Metallic Blue is a bright azure blue. Now I know why people rave about the Maybelline Color Tattoos. 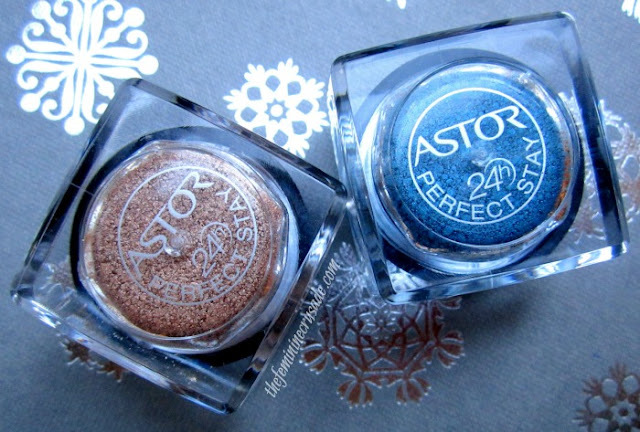 These Astor 24h Perfect Stay Vibrant Eyeshadows have made me fall in love with eyeshadows all over again. To tell you the truth, I am not an eyeshadow person, I very seldom wear them. Maybe once a month! But since I have received them I just can’t stay away from having them on my eyes, and bathe in their satiny, vibrant, illuminating look. I smooth it over my eye with my finger and always use a primer underneath. If you want an opaque coverage and a longer colour intensity I suggest using one. On my eyes they lasted from morn till night, without creasing or smudging, however in the few last hours, the colour intensity weakened. Cannot throw much light on the 24 hours claim though! Quite impressive! Recommend, recommend, recommend!